Leak Detection System for long-distance pipelines and oil products pipelines enables comprehensive control of the pipeline run! Leak detection system (LDS) is a state-of-the-art software and hardware suite intended for leak detection in long-distance and oil products pipelines, calculation of leak location and evaluation of its intensity in constant full-time mode. The system allows to detect leaks in stationary and non-stationary pumping modes without gravity mains as well as in suspended pumping mode. manual mode (minimal leaks, the highest precision of leak location detection). Operating mode of the system is selected depending on the required precision of leak location detection. Operating modes of the system can be used simultaneously, thus, it is possible to enable a particular mode depending on the task to be addressed. Automated mode of system operation allows to detect a leak as well as its time, location, intensity and volumetric flow rate. Implementation of automated operation mode is the best solution for pipelines with length less than 100 km in stationary mode or suspended pumping mode. It this case it is possible to detect large leaks with intensity over 0,5% from the maximal flow rate with localization precision up to ± 500 meters. Semi-automated mode of system operation is used for more precise localization of leaks. It allows to detect a leak, as well as leak time, coordinates and intensity. Detection of coordinates and volumetric volume of the leak is performed by the operator with the use of additional algorithms of integrated software based on the data received in semi-automated mode of system operation. It is recommended to use this method for detection of minor leaks with intensity more than 0,1% from the maximal flow in the long-distance pipeline in pumping mode. Precision of leak coordinates detection depends on the length of the pipeline, however, it does not exceed the value of ± 100 m.
Manual mode of system operation is the most accurate and allows to detect leaks with the intensity of 0.03% from the maximal flow with the precision of the leak coordinates detection up to ± 20 meters. Leak detection is conducted based on the analysis of the signals that have been recorded by the transducers of the system. The manual mode enables comprehensive control over the pipeline condition and high precision of the recorded data in all operation modes (both stationary and non-stationary), including the suspended pumping mode. 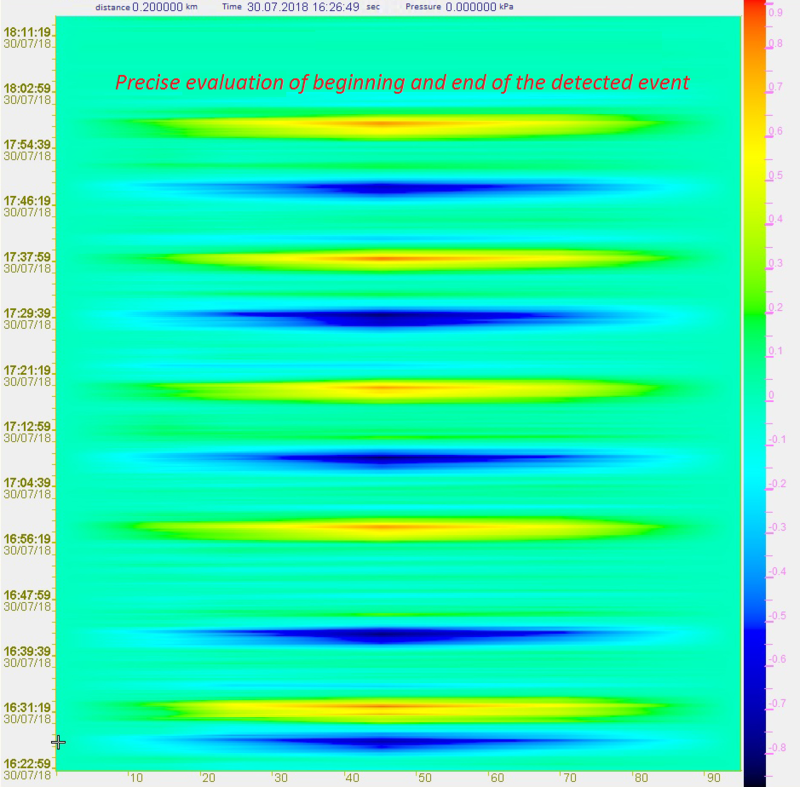 Time of beginning and end of the registered event is determined with the use of state-of-the-art algorithms for signals processing, which are available in ZETLAB software package. 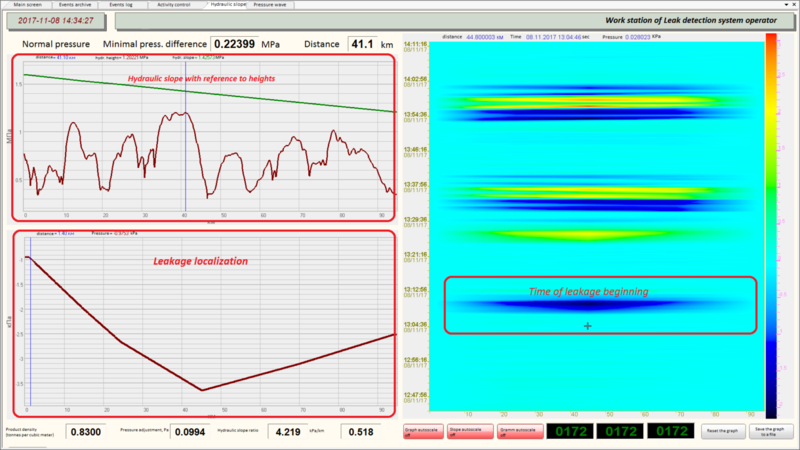 This software has been developed for pressure measurements in various environments. Visual representation of the processed data and user-friendly program interface are the factors that allow a wide range of users to use this task-specific software. Graphical displaying of the information is the most comprehensive method used for the representation of the accumulated data. This method enables structural representation of the accumulated data and facilitates further information analysis. It is also possible to obtain the most accurate location of the registered event with the use of the program “Cross-correlational analysis” and based on the analysis of the signals received from the transducers (the transducers are included into the scope of the system). The program automatically calculates the distance to the registered event based on the data of the transducers’ location (the transducers are distributed along the pipeline). If you need a highly-effective system for control of long-distance pipelines or oil products pipelines, fill-in the questionnaire below and send it to the address zetlab@zetlab.com. Our specialist will promptly select the most suitable instruments for solving your task! The transducer nodes include digital pressure transducers ZET 7112-I and digital hydrophones BC 314, that are used for conversion, digital processing and transfer of the current pressure parameters at a particular section of the pipeline (the data is sent to the data acquisition nodes via CAN 2.0 interface). Data acquisition nodes accumulate the data from the transducer nodes and send it to the server via Ethernet interface for the purpose of further archive storage. The data is also sent to the WKS of the system operator for monitoring and data analysis. 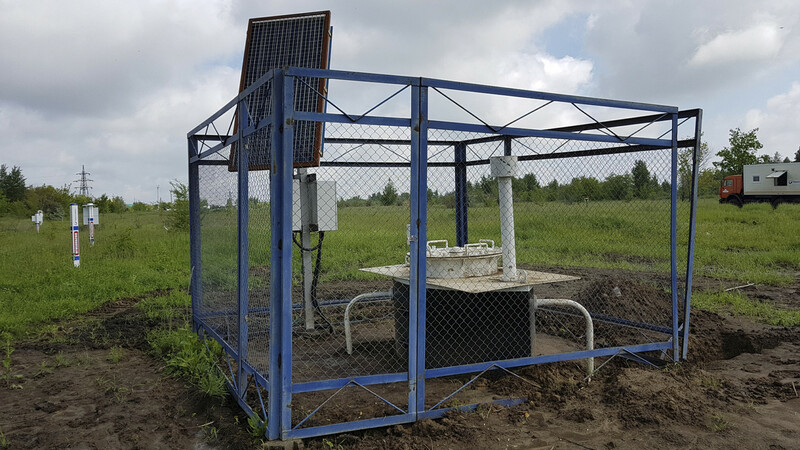 The data acquisition nodes can be also equipped with GSM modules, which allows to establish a back-up wireless data transfer channel. GPS/GLONASS Synchronization module is used for timing synchronization between interface converters and LDS servers. 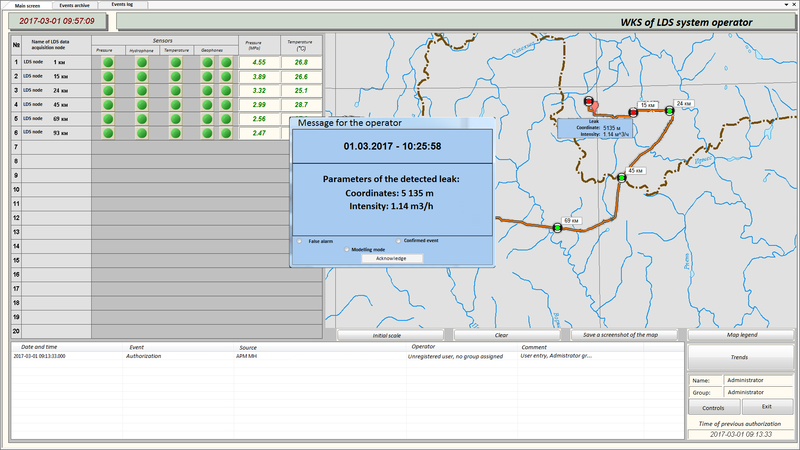 ZETLAB Leak detection system produces alarm notification to the operator within 1-10 minutes from the moment of pipeline hermeticity failure (the notification time depends on leak intensity). The pipeline hermeticity is controlled with the precision up to 20 l/h.